I don’t pretend to be a snow machine mechanic. 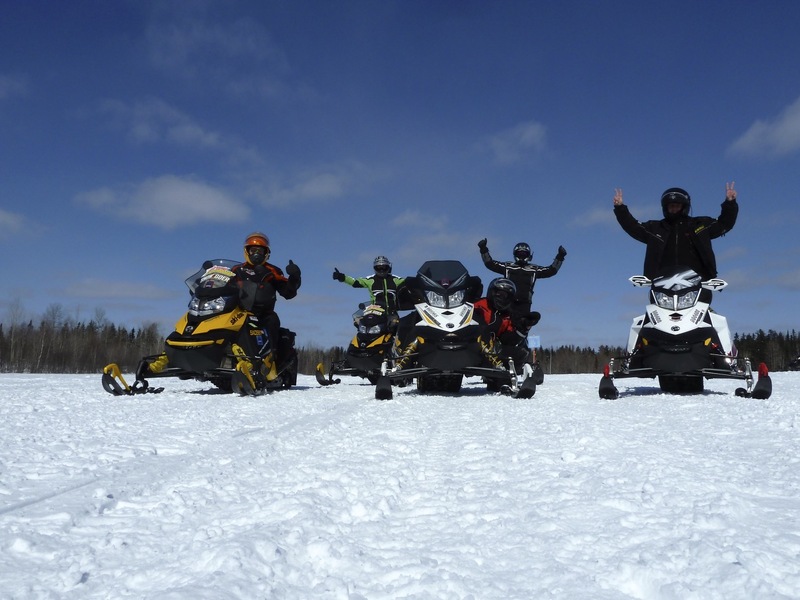 But here are a few tips for how to buy used snowmobiles for sale for your snowmobile tour or snowmobile vacation that I’ve picked up from my friends John Sharrard of Accelerated Technologies and Craig Irwin. Plus a good buy used snowmobiles video by My Old Sled friend David Clarke. Sometimes you can find a dealer with a non-current (brand new, but unsold from a previous year) model that won’t set you back as much as one from the current model year. But that will still be more expensive than a previously owned (read: used) sled. Your first clue about a used sled’s condition should come from the owner, assuming you’re not buying from third party. Before even seeing it, a little detective work can reveal what treatment it may have had. 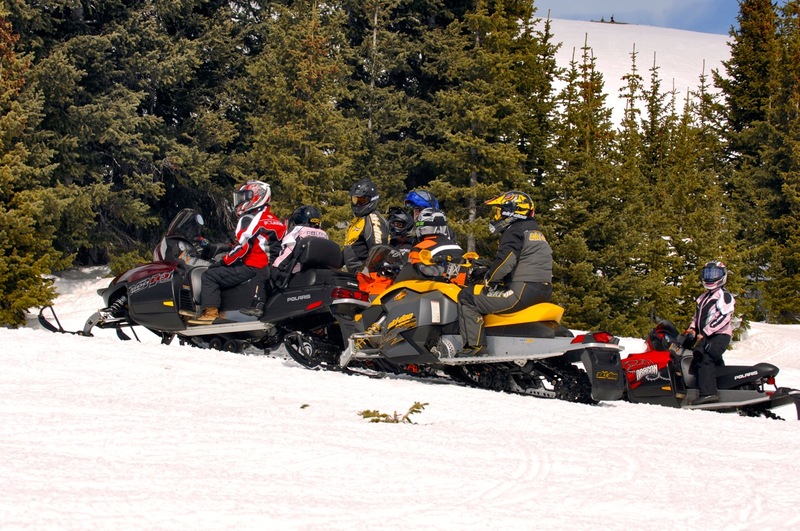 During a casual chat with the seller about mutual snowmobiling experiences you can learn important clues. Info like how often, far and hard the seller normally rides, how well the sled was protected while being transported, and why it’s being sold. Whether or not the seller is forthcoming and proud of having taken care of the snow machine may also speak to what shape it’s really in. Be wary if there’s bragging about an older sled still having many original parts. Especially with no good maintenance records to support this longevity. Otherwise, the sled in question may have neglected original parts on their last legs. Evidence of a dealer completed 10-hour service should provide some level of confidence that the snowmobile for sale had a proper break-in period. 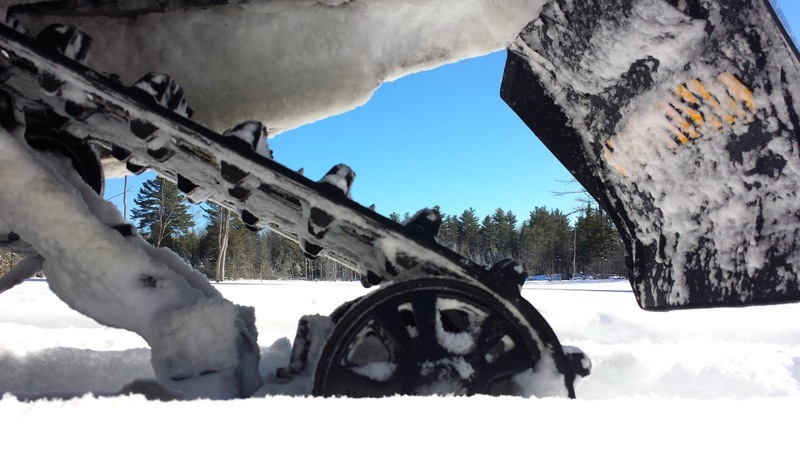 If the snow machine has been raced, many parts, including the frame, may have been exposed to greater stress than normal. Other parts may be weakened or even broken. On the other hand, be wary of a snowmobile for sale that has sat mostly unused for long periods of time or improperly stored for the summer. It may have deteriorated faster than usual or have been gnawed at by rodents. Sleuthing can also observe if the property you visit to see the sled is well cared for. What do other vehicles on site look like? Is the sled inside a garage or covered trailer when you arrive? How eager is the seller to help you to evaluate it? Are maintenance and service records offered up front? Is the seller agreeable to a mechanic looking at it on your dime? If so, a compression test can help indicate engine condition. Compared to similar sleds for sale, how is it priced? A higher asking price may be indicative of a well cared for sled that the seller is really proud of. Sometimes a killer deal may mean buyer beware. What’s the mileage? There is no right number, but you need to know how much to get a good sense about what kind of use it’s had. Finally, has the seller made the effort to spiff the sled up for sale? If not, how likely is it that enough effort went into regular maintenance? And by the way, watch out if you can’t get satisfactory proof that the sled has been properly summerized every year, including engine fogging & fuel stabilization. Check front and rear suspension, bulkhead, tunnel, rails, etc, for impact marks, cracks or bends. Eyeball the track for broken, missing or damaged lugs, rips or tears in the rubber or missing or bent studs. Inspect skis for underside wear, runner condition, and dents or bangs. Go over the belt and clutch for signs of excessive wear. The belt surface and edges should be smooth with no cracks or fraying. You can learn plenty about a sled’s real life story with a visual inspection. Check that the handlebars and skis are straight. And that there are no cracks in the cowling, rips in the seat, dents in the tunnel or wows in the running boards. Any of these might be evidence that the sled’s been roughly used or in an accident. Take a seat to see if it feels and looks good from a rider’s perspective. After all, that’s where you’re going to be! Look for signs of rust or pitting on metal parts, exposed (especially on shock shafts) or under the hood. This is evidence that the machine has not been transported in an enclosed trailer. Or not been cleaned frequently and thoroughly. Or been stored outside without protection from the elements. Any or all of these could spell trouble ahead. Watch out for non-standard fasteners. If the machine is littered with miscellaneous nuts and bolts, it probably didn’t receive careful maintenance. Worse, any repairs were likely reactionary and not a result of proactive maintenance. They also may not have included OEM or even new parts. Also, non-standard fasteners are another sign that this sled didn’t get to a dealer very often. Track condition speaks volumes about the overall shape of the sled. It’s a telltale for not only how little snow cover the owner thought was okay for riding, but also the nature of the rider. A three-year old sled with studs ripped out, lugs missing and badly worn sliders, likely belonged to a throttle masher. The belt, clutch, engine and drivetrain would have suffered similar treatment. So expect much higher repair costs from a sled with an abused track. Plus, add an easy $1,000 or more to replace the track and studs. By the same token, it’s cause for suspicion if an older sled has a brand new track as it may be because of or to hide abuse. The best way to check a track is to remove the drive belt (and see what shape it’s in too) so the track will turn easily. Then lift up the back end (preferably on a sled stand). Rotate the track looking for any visible damage or undue wear. Check oil level, colour, type and brand used. Check radiator coolant level and inspect chain case oil. 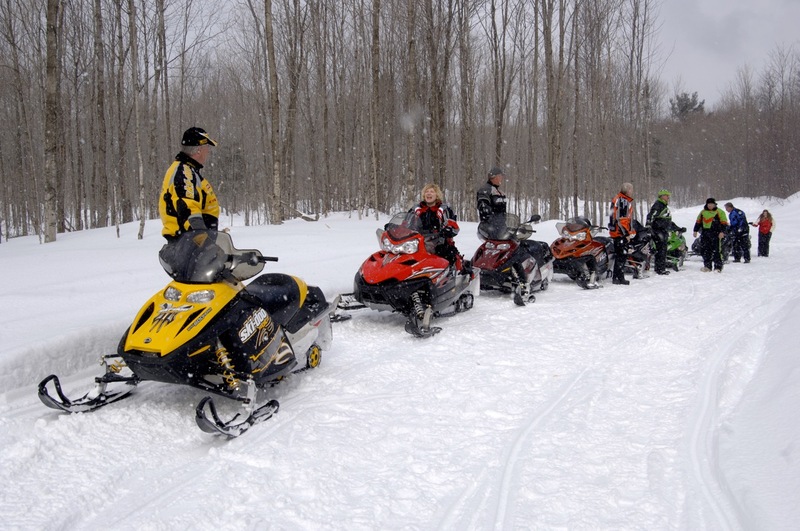 Ask what grade of gasoline the sled uses. 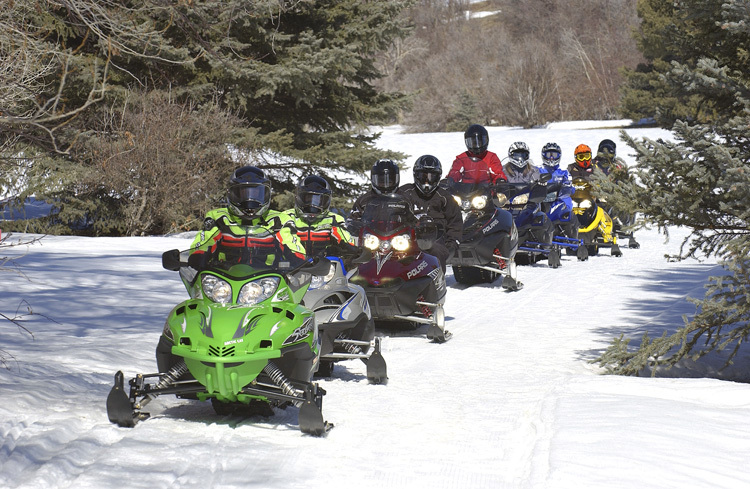 If the sled still looks like a keeper, start it up with the track off the ground. Listen for any rough engine idling sound that may suggest dirt in the carburetors. Increase the RPM’s slowly until the belt engages and the track moves, listening for unusual sounds in chain case, track and clutch. Then apply the brake to make sure it works. If everything sounds and feels good, it’s worth taking this one to a mechanic if that’s your preference. If at all possible, do a compression test (can be tricky on engines with automatic decompression). Start and run the engine, preferably from a cold start. Check for smoke out the muffler, colour and odour. When warm, most engines should produce little smoke, although most older 2-strokes will smoke at idle, especially when cold. The newer the sled is, the more computerized it will be and the more I’d recommend taking it to a dealer for that brand who will have the necessary computer and programs to run a complete systems check. If possible, ask to ride the snowmobile for sale because this is where worn shocks will bottom out, loose steering will be noticeable, worn drivers will make a ratcheting sound and loose parts will rattle. 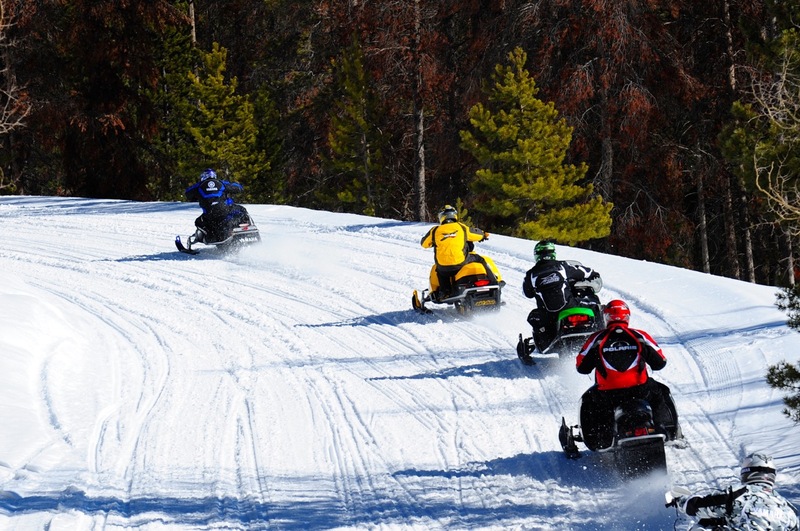 When you buy used snowmobiles, ask if the seller is willing to sweeten the deal by including any accessories with the snow machine for sale, such as cover, saddlebags, extra carbides, sliders, handlebar muffs, etc. Take your time and look around. Talk to a dealer. Don’t necessarily buy the first used snowmobile for sale you look at. And check out online used snowmobiles sites. As you can see, to complete the used sled buying process properly takes time. It’s always good to go with a knowledgeable buddy for assistance and a second opinion. But if you want to be as certain as possible that a used sled will do the job for you without any regrets or expensive surprises, it’s well worth making this effort.